Participating companies are provided a comprehensive report which documents the analysis carried out, and the considerations made, to develop a timeline and roadmap that will guide and drive them to systematically tackle the challenging but achievable steps required to migrate the business to the desired future state. Do you often feel that you are busy getting nowhere? Are you always working on urgent issues? Do you have difficulty identifying what the important drivers in your business world are – the things that will impact your future success as a company? If the answer to any of these questions is Yes, you should strongly consider having HeadRoom help you with creating a Strategic Plan – A one to three year timeline that maps out how you will address the 4-5 key challenges or opportunities that stand in the way of you attaining your Vision for your business. Having a clear Vision and a defined and agreed Strategic Roadmap on how to get there is critical for your business’s future success. 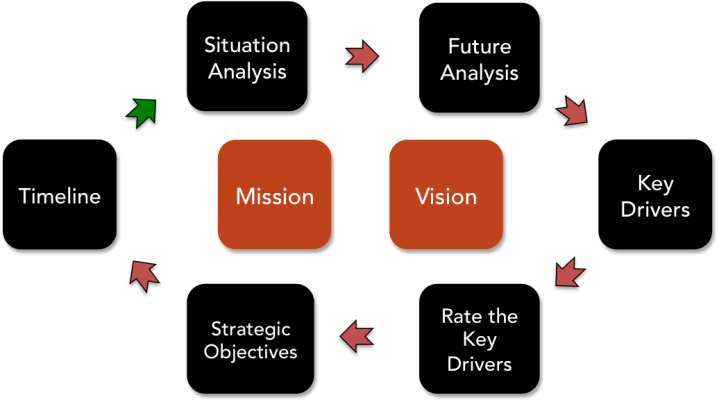 Every decision you make as a business must be evaluated in the context of this Vision and Roadmap. This workshop is designed for CEO’s who feel they need to stir things up a little. If you are managing a company and feel it is in a rut or spinning on it’s wheels you need to understand why and create a plan that fosters a new energy and identifies the direct report team that is going to make it happen. It also focuses on how to engage you entire organization in helping to realize your vision for the business. Both Workshops are directly facilitated by HeadRoom and are held over two sessions. This workshop is designed for businesses facing considerable disruption in their marketplace or the need to move to a new market or branding position. It is also suitable for start-ups setting out on a new venture. The focus is on understanding what is not known as much as what is. Following the identification of the Strategic Objectives, there is analysis of the required platforms, resources, and strategic partners to deliver on the Plan.